Windows are essential openings in the walls of any living space and are normally glazed so that sufficient natural light makes its way into the room. They are also openings that can be operated to let in air and create a proper ventilation for the enclosed space. This openness can at times be distracting and cause an invasion of the privacy of the people living there. The use of roller blinds helps to have some control over such situations and allow the residents of a home to control both light and ventilation while ensuring privacy. Windows can look bare and intimidating, and it is quite common to give them some form of treatment that will make them less so. Blinds, curtains and other treatments are used for this, and among this roller blinds make for the simplest of treatments. In these blinds, the fabric is wound over a roller and the roller operated so that the blind is let down over the opening or rolled and pulled up so that the window is exposed. Roller blinds can have different mechanisms to enable their operation and this can be done by rotating the rollers through chains or ropes or by activating a spring. Roller blinds that use chain operation are easy to use and control and can be operated partially so that part of the window is covered. Spring rollers have various mechanical parts that can break done and cause problems in their smooth working. Technology has been developed that uses gears and other means to give the spring operated rollers more control. The springs that are used in most roller blinds nowadays are safe even for children to use. Roller blinds are very practical methods of window treatment and the ease of their operation allows for providing shade from the sun. This action can, in turn, protect furniture and other furnishings in a room. The operation of a blind can help to control the amount of light coming into a room and reduce glare that can be distracting when you are working on a computer or watching a television screen. Most importantly, roller blinds go a long way in ensuring the privacy of the room and can block out the outside world. You can even use roller blinds that function as blackout screens to ensure that you get a good night’s sleep and are not disturbed by the light or other happenings outside your windows. They are especially useful for children’s rooms and can be a big advantage for people who have to sleep during the day because they have to work in shifts. Roller blinds can be used in any room of the home, and do not have to be restricted to bedrooms or other personal spaces. There is a wide variety of fabrics that can be used for roller blinds. They can have a number of colors or designs that can greatly add to the decor of the room. Digital printing technology has allowed blinds to be printed with even scenery, landscapes or even personal themes. Roller blinds fitted in conservatories turn them into cool places that can be a pleasure to spend time in. They blend well with any sort of decor or architectural style. Roller blinds are equally practical measures to ensure control over light and privacy in bathrooms and kitchens. Their fitting is relatively simple and does not require much of expertise unless you are installing blinds that have sophisticated control systems. They remain window treatments that are very flexible and can yet add a lot of style to any interior. You can get blinds that are motorised and operated by remote control if you want to have greater control over your living environment. Adding onto your home can not only give you more space but can also help increase your house’s resale value. However, before you dive in and get started on your new addition, there are some important factors that you need to consider. Here are a few of the most important things to think about when planning a home addition and extension. Mintconstruct Pty Ltd a local builder supplied the following information. 1. Make sure the addition blends seamlessly with your existing home. Nothing is more unattractive than an addition that looks like it was just tacked onto an existing home without putting any thought or consideration into matching the architectural style of the original home. When planning your addition, make sure that it will blend in flawlessly with the original construction. 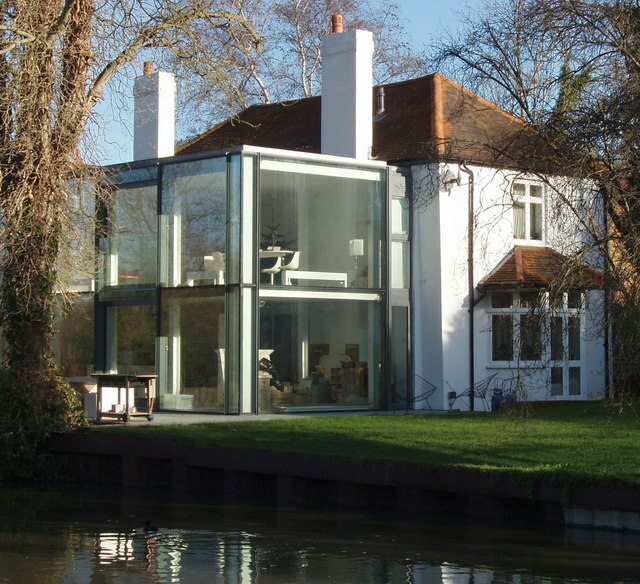 If necessary, hire an architect to design the addition for you so that it works with your home. In the long run, paying a relatively small fee for a professional design will be worth it since it will help keep your home attractive and cohesive, making it easier to sell. 2. Hire a company that is properly licensed to do the addition. Any new construction on your home needs to be up to code. Otherwise, you will most likely run into problems when it comes time to sell your home in the future. To prevent any problems, be sure to hire a qualified company for the project. Additionally, make sure that you have all the necessary permits from your city before work begins. Contact your local building department to find out what the requirements are in your area. 3. Decide whether to build up or out. You have two options when it comes to additions. You can either add onto the side of your home, or you can add a second floor up top. Both options have pros and cons. Generally, second-story additions are well-suited to houses that are located on small lots. Homes with more yard space tend to do well with lateral extensions instead. Again, this is an area where a good architect can help. Although these professional fees may be expensive, they are worth it if they help keep you from making a mistake that you will eventually regret. Home additions and extensions can be a great way to expand your space and increase the value of your home. Just be sure to put careful thought and planning into the project before work begins. This will help ensure that your addition comes out just the way that you envisioned it. With summer almost here, if you don’t have central AC, you might be wondering what to do. Of course, that doesn’t necessarily mean that you should suffer through the hot months without any air conditioning in your home. Well, there are alternative options for your air conditioning needs that you should consider. If you’re looking to save money while keeping cool, then portable air conditioning units are the way to do it. Unlike central AC units, portable air conditioning units allow you to cool down a specific room in your home rather than wasting money or energy cooling down the entire home. Using these portable units, you can cool down the popularly used rooms to the specific temperature you need, comfortably. The AC units also come with an adapter kit that vents out the warm air out of the window. There are some special models that allow you to vent out the hot air through the fireplace or a hole in the exterior wall of your home. 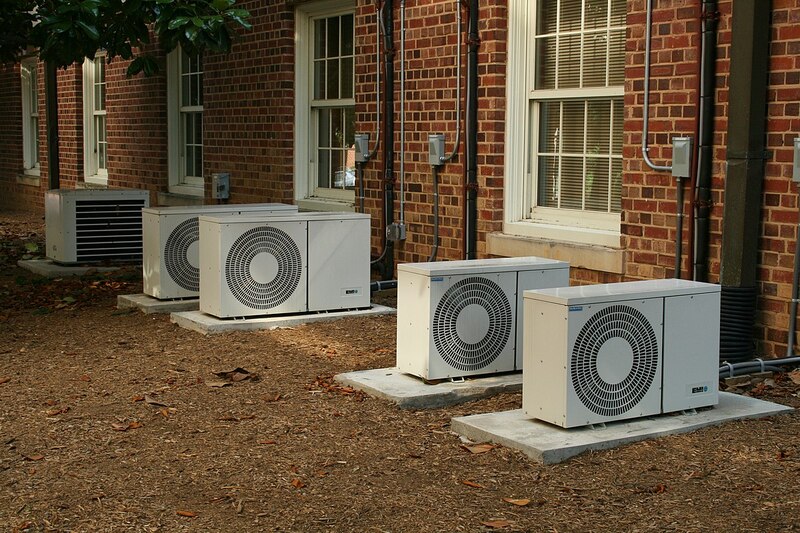 Besides their efficiency and advantages, they are more expensive and use more energy than other AC units. Depending on the type or model you purchase, window AC units are installed directly in your window or through the wall. Since they don’t take up any floor space or other areas in your house, they are quite advantageous to most people, especially those who live in smaller rooms. Once you’re done installing it, there is nothing else left to do since it vents out the warm air to the part on the outside. They are considered very energy efficient since you can cool down one particular area of your home. Therefore, you can save a lot of money on your energy bills. However, your purchasing options for window air conditioning units might be limited to the shape and size of your window. For instance, it might be too small or big and not have enough cooling power to cool the area that you need effectively. Of course, you can solve this problem comfortably by taking good measurements of your window before purchasing the air conditioning unit. On the other hand, when the AC unit is installed in your window, you no longer have access to the view outside your home. It will also block the natural light coming through your window. Alternatively, you can always opt for the models that go through the wall to prevent these limitations. Before installing it, you need to check whether your home associations allow you to install the AC unit in your home. It is a hybrid of a central air conditioner and a window AC unit. Ductless AC units have condensers that go outside and connected to an evaporator placed high especially on a wall or on the ceiling. Compared to other AC units, ductless air conditioning systems are quieter and also have compacted units that can be placed anywhere comfortably. You can install multiple units in various areas in your home depending on the size of your living room or how many rooms you need to be cooled. Ductless AC units are very energy efficient, but they are more expensive than other AC alternatives. Of course, you can cool specific areas of your house while the unused rooms are not affected. To get your questions answered about air conditioning installation for your Gold Coast home, give this team a call. Why Are Eyelash Extensions So Popular? As well as the bins for used ink cartridges, are you by any chance going to install bins so we can recycle pens, highlighters, and general office supplies? I know you sell the Terracycle bins for office use but Working on my own I would not fill one of those in a decade! Where has the Morayfield store moved or is it now gone? I bet you have made a killing from all the copper. While you're there can you grab me a French Bulldog. Does your small business turn over less than $10 million a year? H&R Block Australia has created a handy Tax Deduction Estimator, to help you to discover how much you could potentially write off on capital purchases. Hope office works are using H & R Block Australia as there tax accounting advisors??? Generally speaking, if single asset item cost less than $20,000 you get instantly write off. What's the deal with your rigid envelopes? The prices are going up and up and the quality is getting worse and worse. I need a whole pile of sticky tape to seal these envelopes down just to ensure they don't explode during transit. The wax on the envelopes has gotten worse too so you can't even write on them with a pen. I'm going to have to change suppliers of these because at $2.27 ($2.00 if you buy 5 or more) that's just way too expensive for the crap quality! Starting a business requires a few key things: passion, hard work, determination... and a business plan. We've made it easy for you to get started on yours.